On an ordinary day in a routine life, Ralph impulsively takes a different path on his daily walk—one that leads him to an unexpected second chance at love. 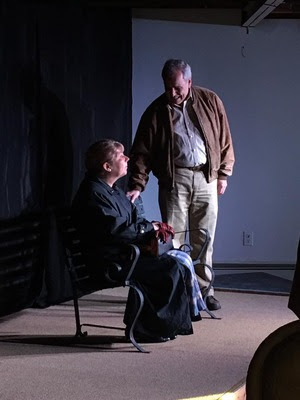 This laugh-filled comedy adroitly explores relationships between men and women in their golden years, as well as how the invisible ties of family often tie our hearts harder and faster than any love affair. Jordan Hornstein (Ralph) Jordan made his acting debut as a baby chicken, at P.S. 249 in Brooklyn, in 1952, for which he received a gold star (he has received no gold stars since). 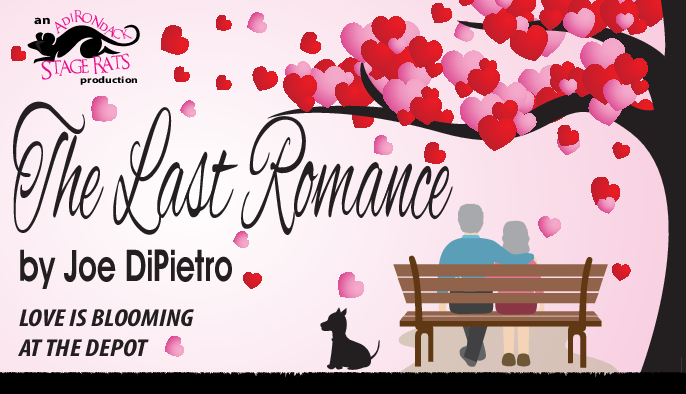 The Last Romance marks his debut with Adirondack Stage Rats. He was seen on stage in Saranac Lake last summer in Pendragon Theatre’s production of Art, and will be appearing there this summer in Deathtrap. He will also be in the Adirondack Lakes Center for the Arts’ production of A Walk in the Woods, in July. He wishes to thank Karen and Beth for creating the Stage Rats and this opportunity. It has given him a chance to work once again with his favorite director, Bonnie, and two wonderful actors, Annie and Kathy. He lives in Long Lake with his wife, Jacqueline, and their two theatrically-inclined cats, Willie and Gracie. Kathleen Recchia (Carol) Kathy is delighted to be part of Adirondack Stage Rats. She was Peggy in the company’s premiere production of The Fourth Wall, has toured with Pendragon Theatre’s The Seagull (Polina) and Death of a Salesman (Linda Loman) and has performed The Belle of Amherst (Emily Dickinson) throughout the North Country. She has been in regional TV commercials and has co-written two originial musicals – Road to Dannemora and Pride & Prejudice. 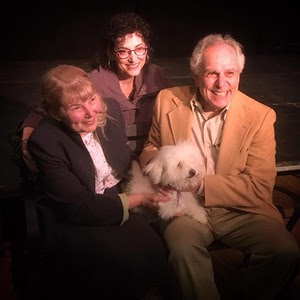 Annie Scavo (Rose) This is Annie’s debut performance with the Adirondack Stage Rats and she wishes to thank Karen, Beth, and Bonnie for the opportunity to play Rose and to work with such a talented and generous group of artists. Annie was last seen as Louella in the Recovery Lounge’s production of Why Torture is Wrong and the People Who Love Them. Pidge (Peaches) At the age of twelve, Pidge, a Cairn-Terrier, Pomeranian mix, lives with her humans, John and Virginia Santy of Gabriel’s, NY. Pidge enjoys chasing squirrels and cavorting with her male friend and next door neighbor, Brutus, a portly Chihuahua. Pidge has been anxiously awaiting her first role in the theatrics and wishes to thank all of her supporters, especially Aunt Sue and Uncle Dave, in this new adventure in her life. Bonnie B. Brewer (Director) Bonnie has been working the professional theatre circuit for 30 years now. Directing projects include: Almost Maine, Agnes of God, Other Desert Cities, Alfred Hitchcock’s The 39 Steps, The Gin Game, Evita, Sylvia, Arsenic and Old Lace, The Complete Works of Shakespeare Abridged, All My Sons, Wait Until Dark, Evita, Death of a Salesman, and Lend Me A Tenor. Most recently she directed Fiddler on the Roof for the Saranac Lake High School. Light and set designs include: The Little Mermaid, Amadeus, Chicago, Other Desert Cities, Baskerville: A Sherlock Holmes Mystery, Murder for Two and SHOUT! She is grateful for the opportunity to direct for the Adirondack Stage Rats. Thank you to Karen, Beth, Jordan, Annie and Kathy for all their hard work and support. For more information, updates and program announcements, visit http://depottheatre.org or contact the box office at 518.962.4449. All dates, titles and showtimes are subject to change. Tickets are non-refundable. The 2017 Season is sponsored by The Galley Restaurant & Bar at Westport Marina. 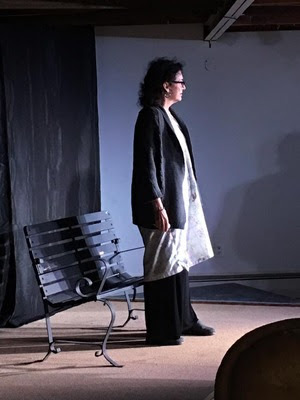 The Depot Theatre is a non-profit, professional theatre located in a historic, functioning 1876 train station in Westport, N.Y., and operates under an agreement with Actors’ Equity Association, the Union of Professional Actors and Stage Managers in the United States. In addition to its volunteer board of trustees, the theatre depends on the support and generosity of its loyal donors, volunteers and community members. Committed to promoting and providing exposure to the performing arts in the Adirondacks, the Depot Theatre invites all to “Take a journey without leaving the station.” The Depot Theatre’s 2017 Season is made possible by the New York State Council on the Arts with the support of Governor Andrew Cuomo and the New York State Legislature. Additional support is provided by the Essex County Arts Council.